This is a useful, informative book. It is a good read too. Geiger's sentences are well written and not unnecessarily intricate. In a short introduction (12-27, chapter 1) the author sketches the difficult situation in which Gallienus came to rule, gives a very brief status quaestionis, and explains the structure of the work. Chapter 2 (28-72) is an exhaustive, erudite survey of the various sources: literary sources, inscriptions, papyrus texts, coins, and archaeological findings. Not much about Gallienus' family, friends and courtiers with certainty being known, chapter 3, on Gallienus' family and entourage at court (73-81), can only be brief and speculative. Gallienus spent practically all of the years 254-260 in army camps, as he did most of the years of his sole reign (260-268). His entourage in those camps must largely have consisted of military, logistical, fiscal and administrative specialists whom he needed to survive. Chapter 4 (82-199), on evenemential history, is important. Most of the author's chronology is sound, but there are exceptions (see below). 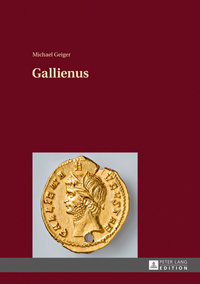 Geiger rather strongly focuses on numismatic evidence, as he particularly shows in chapter 5, a separate chapter on Gallienus' coins (200-247). 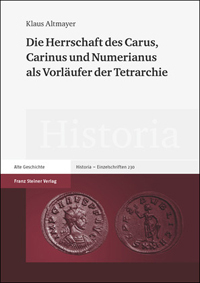 In this chapter he is leaning heavily on R. Göbl, Die Münzprägung der Kaiser Valerian I/ Gallienus/ Saloninus (253/68), Regalianus (260) und Macrianus/ Quietus (260/2), Vienna 2000, which is not a bad choice. This chapter gives us - among others - a good and complete picture of Gallienus' imperial representation on coins. The following four chapters, on imperial portraiture (248-255, ch. 6), the emperor's philhellenism (256-275, ch. 7), Gallienus and the Christians (276-290, ch. 8), and the empress Salonina (291-300, ch. 9), are less elaborate and not very original but they contain useful surveys in which anything that is known or has been researched is put together, the author playing the role of a critical commentator. The chapters 10 (301-310, on debasement of the imperial coinage and price inflation) and 11 (311-349, on developments in the armed forces and the administration of the provinces), belong to the best parts of the book. They are well-documented and put together in a clear and concise way anything that has been researched so far. At the end of the book the author gives us a summary of his conclusions, a bibliography (sources and literature), a list of abbreviations, an index of names, and some photographs of important coins. Geiger is fairly positive about Gallienus. He considers him an able military leader and administrator who carried into effect necessary military and administrative reforms, which actually completed existing developments. Leaving out amateur-gentlemen from the senatorial order from the military tribunate, governorships in praetorian provinces, and important overarching high commands Gallienus gave way to the military, logistical and administrative qualities of experienced equites who were no longer municipal aristocrats but career-soldiers who had made long careers in the army and administration. He also created a mobile intervention army. Largely giving up dynastic propaganda Gallienus during his sole reign accentuated his victoriousness, victories, and divine associations, emphasizing the support he was getting from a series of gods and identifying himself with superhuman powers. Having stood aside from his father's persecution of the Christians, Gallienus wisely ended it in the first year of his sole reign. In formulating hypotheses the author sometimes oversteps the mark. One example regards Gallienus'attitude to Christianity (Geiger 283 and 290). It is simply not possible that Gallienus, being co-emperor, could hold aloof from the persecutions. There is not a shred of evidence to prove this. Another issue is Geiger's opinion about recruiting equestrian personnel. There is not enough evidence to establish that Gallienus' new officers were all career-soldiers, no longer municipal aristocrats. That Gallienus gave the title protectores to the military cadre of his new army does not mean that they all were of humble military extraction. One of Gallienus' most important protectores, Lucius Petronius Taurus Volusianus, was without any doubt a local notable (CIL XI 1836 = ILS 1332; B. Dobson, Die primipilares. Entwicklung und Bedeutung, Laufbahnen und Persönlichkeiten eines römischen Offiziersranges, Cologne / Bonn 1978, 306-308; I.A.M. 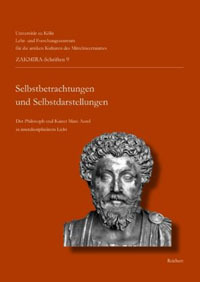 Mennen, Power and status in the Roman Empire, AD 193-284, Leiden / Boston 2011, 227-229). A third example is Geiger's idea that Gallienus in the summer of 253 took to flight to Etruria to evade the emperor Aemilian's wrath, to which his mother had already fallen victim. Again, there is not a shred of evidence to prove this. The last issue has to do with Geiger's chronology. In his view, Gallienus fought at the Danube border from 254-256, which is undoubtedly right, and returned to Rome in 256. Together with Valerian he went to Cologne in 257, from which place Valerian soon returned to the East. Geiger has Gallienus stay on the Rhine until 259/260, from which border he went to Milan, where fortification had started in 258/259. An imperial mint was established there about the same year. The so-called Augsburg inscription, AE 1993, 1231b, tells us that a commander called Genialis annihilated a band of Iuthungi in April 260, taking back their booty and deportees from Italy (L. Bakker, Raetien unter Postumus - das Siegesdenkmal einer Juthungenschlacht im Jahre 260 n.Chr. aus Augsburg, Germania 71, 1993, 369-386). A monument to celebrate his victory was put up in September of the same year, during Postumus' first consulship (apparently Raetia then belonged to Postumus' territory). In the inscription Postumus' consulship is mentioned without number, and so it was his first (AD 260). Geiger accepts, however, John Drinkwater's dating of Genialis' victory, April 261 (Geiger, 108ff., 114ff. ; J.F. Drinkwater, The Alamanni and Rome. Caracalla to Clovis, Oxford 2007, 54-57). In 261/262 Gallienus is supposed to have fought Postumus, which is very plausible (Geiger, 167), while Aureolus eliminated the Macriani in the battle at Mursa (Geiger, 121ff.). Having conquered Raetia, Gallienus had to break off fighting Postumus, however, to stop new barbarian inroads around the Dardanelles, and take Byzantium back from mutinous soldiers (Geiger, 138-142). But why not accept Lothar Bakker's date of Genialis' victory? The only reason to fortify Milan and to position an imperial mint there would have been a tangible barbarian threat, which since about 254 existed in the Agri Decumates, where Alamannic bands had been infiltrating since that year. 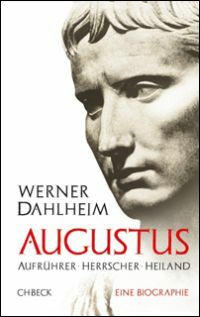 In 259, more than a year since Valerian had taken with him many soldiers from the Rhine and Danube to the East, two bands of Germanic fighters invaded Italy, one coming through Raetia and another one indeed through Southwest Germany and Western Switzerland, where they destroyed the town of Aventicum. Milan was situated at a strategic place, from which an army could defend North Italy, and could quickly go to Gaul or Southern Germany. Besides it was a good place to concentrate supplies. The Germanic bands were stopped at Ravenna and in Etruria by emergency armies, and hibernated in North Italy, to be beaten by Gallienus early in 260. One part of those bands was annihilated by Genialis in April 260. 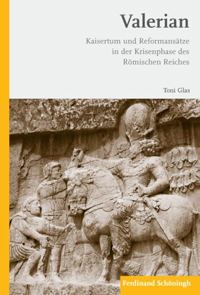 This is a good alternative to the chronologies put forward by Drinkwater and Geiger, and it does not create any problems in interpreting the Augsburg inscription. 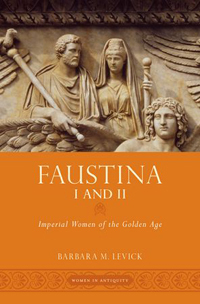 These critical remarks do not take away, though, that this is a good, well-documented monograph, which synthesizes everything that has been written about Gallienus, either in ancient and medieval times or during the last two centuries.